Here’s part two of my interview with Dr. William Davis, author of the excellent new book Wheat Belly. (Part one of the interview here.) If you haven’t read the book yet, I can’t recommend it highly enough. You’ll never look at a sandwich the same way again. Fat Head: Dr. Robert Lustig believes excess fructose is singularly responsible for inducing insulin resistance and other aspects of metabolic syndrome. You blame wheat. When I started showing signs of pre-diabetes in my thirties, I consumed almost no sugar whatsoever – I knew sugar was bad for me – but I ate a lot of pasta, cereal, and bread. Describe how you believe wheat consumption can lead to type 2 diabetes even among those who don’t drink Big Gulps or eat Little Debbie snack cakes. Dr. Davis: There’s no question that fructose is indeed a big problem in the diet of modern Americans. Like wheat, fructose sources like sucrose, high-fructose corn syrup, honey, and agave syrup increase visceral fat, increase blood sugar, and cause a curious delay in clearing of after-meal blood particles (chylomicron remnants) that lead to atherosclerosis. So Wheat Belly, of course, does not argue that the only problem in the American diet is wheat. Two slices of whole wheat bread increase blood sugar higher than table sugar, higher than many candy bars. Oddly, this doesn’t stop dietitians and the nutrition community from encouraging you to eat more of it. Eat more wheat, blood sugar rises increase in magnitude and frequency. This leads to higher and more frequent rises in insulin, which, in turn, creates insulin resistance, the condition that leads to diabetes. Those high blood sugars are also intrinsically damaging to the delicate pancreatic beta cells that produce insulin, a phenomenon called glucotoxicity. Beta cells have little capacity to regenerate. Repeated beatings from glucotoxicity lead to fewer and fewer healthy, functioning beta cells producing insulin. That’s when blood sugar stays at persistently high levels — even when your stomach is empty: pre-diabetes, followed shortly thereafter by diabetes. So the wheat we are advised to eat more of is not the solution to the diabetes epidemic that is expected to include one in two Americans in the near future, and 346 million people worldwide — eating more “healthy whole grains” is, I believe, the cause of this situation. And removing it sets us back on a course to stop or even reverse it. Fat Head: You describe in Wheat Belly how today’s dwarf wheat contains more gluten proteins and causes a more dramatic rise in blood glucose than the wheat our great-grandparents consumed. But Jared Diamond and others have made a convincing case that switching to a grain-based diet caused humans to become shorter, fatter and sicker even in pre-biblical times, when today’s mutant wheat didn’t exist. So would you say wheat has gone from being a good food to a bad food, or from a bad food to an even worse food? Dr. Davis: I’d go for the second choice, going from a bad food with adverse health consequences in some people, to an incredibly bad food with adverse health consequences for nearly everybody. Of course, if you were starving and the only food you had was bread, you should eat the bread. There’s no question that wheat, as the product of early agriculture, served to feed humans when the spoils of the hunt or gathering failed. As Dr. Diamond points out, this calorie-filler, hedge against the poor return of the hunt, and convenience food had adverse health consequences even in early humans and in its earliest forms, such as einkorn and emmer. We know for a fact that wheat consumption has been unhealthy for humans for as long as we’ve consumed it from observations such as those pointed out by Dr. Diamond: humans being shorter, fatter, and sicker (bone disease, dental decay, cancer, perhaps atherosclerosis) with wheat consumption, as well as descriptions of the ravages of celiac disease as long ago as 100 AD. It’s the changes introduced by geneticists over the past 40-50 years, coupled with dietary advice to consume more wheat, that have conspired to create this current mess we are in, turning wheat from a problem ingredient into a health scourge exerting adverse health effects on an international scale. Fat Head: Let’s talk about some of the specific health problems that may be caused or accelerated by wheat. One of my readers has a sister who was cured of multiple sclerosis after giving up wheat. Others have told me they were cured of fibromyalgia, ADD, or depression. Are they all nuts, or do “healthy whole grains” have something to do with those conditions? Dr. Davis: Even though I have witnessed the incredible effects of wheat elimination in thousands of people over the past several years, even I still learn new lessons about its effects. It seems a week doesn’t go by that I do not learn about some new health benefit of wheat elimination. I too have heard countless cases of marked relief, occasionally cure, of fibromyalgia, ADD, and depression. I have only a couple of instances in which I’ve witnessed improvements in multiple sclerosis, since the disease is uncommon in the population I see in my cardiac practice and my online heart health experiences. But, given the reach of wheat into so many aspects of health, I would not be the least bit surprised to see substantial remission of the disease, given the potential central nervous system inflammatory effects of wheat components. Unfortunately, most of my colleagues dismiss this as pure coincidence, despite the fact that it can be turned on with wheat consumption, turned off with wheat elimination, turned on again at will—repeatedly, reproducibly, and in many, many people. The notion that whole grains are healthy has so deeply infiltrated the thinking of people in healthcare that they are very resistant to changing their views. I don’t think I’m causing a case of mass hysteria, with everyone crazily pitching their wheat products out with the trash because I said so. People are relating their experiences of substantial weight loss without calorie restriction, relief from multiple conditions across an impressive range of diseases, as well as subjective feelings of increased well-being and mood. In fact, I would say elimination of wheat is the most incredible and consistently effective strategy I have ever witnessed for improving health that I have seen in practicing medicine for 25 years. Fat Head: I gave up wheat and other grains primarily to lose weight, then I was pleasantly surprised when several nagging health conditions went away soon after … psoriasis, mild asthma, gastric reflux, and arthritis among them. How often do you see results like mine, and why does wheat cause those conditions in the first place? Conservatively, I would estimate that 70% of people experience a substantial benefit beyond weight loss. It might be relief from a chronic rash like psoriasis, relief from struggles with airway and sinus health like asthma and chronic sinus infections, relief from gastrointestinal problems like acid reflux and irritable bowel syndrome, or it might be relief from run-of-the-mill arthritis or inflammatory arthritis like rheumatoid. The range of conditions caused or worsened by this thing is nothing short of astounding. There is no single component of wheat that accounts for its myriad adverse health effects. The gliadin protein is responsible for direct inflammatory effects, while also stimulating appetite. The gluten protein is responsible for the destructive inflammatory effects on bowel and central nervous system health. The lectins in wheat likely underlie the increased intestinal permeability to multiple foreign proteins that cascades into inflammatory and autoimmune conditions like rheumatoid arthritis and lupus. The amylopectin A is responsible for the expansion of visceral fat in the abdomen, the “wheat belly” that in turn leads to inflammation, insulin resistance, diabetes, arthritis, and heart disease. Fat Head: So it’s primarily the gluten and lectins in wheat that cause so many digestive problems, or is there something else involved too? Dr. Davis: Incredibly, although wheat’s effects on disrupting digestive health is ubiquitous—it’s certainly a lot more than celiac disease—there has been little exploration as to the why. So I can only speculate on why wheat exerts such widespread and frequent gastrointestinal effects. It likely has to do with the gliadin, gluten and lectins—one or a combination of any of them. I’m also convinced that there are components of wheat beyond these three that exert adverse health effects that explain why I see that the whole is greater than the sum of the parts, i.e., removal of wheat seems to yield greater health benefits than each unhealthy component would suggest. Fat Head: Are all types of gluten equally bad, or are some worse than others? If some are worse, is the gluten from today’s wheat particularly damaging? Dr. Davis: The amino acid structure of gluten can vary widely, although all gluten shares the characteristic viscoelasticity desired by bakers and consumers, the property that allows the pizza maker to toss the dough in the air to shape pizza crust and allows dough to be molded into multiple forms from pita pockets to ciabattas. The worst, most harmful glutens are the recent varieties created by geneticists. The changes introduced into the “D” collection of genes (“genome”) characteristic of modern semi-dwarf wheat likely account for the quadrupling of celiac disease in our time, the doubling just in the past twenty years. Less destructive forms of gluten are those found in the ancient wheat forms, such as einkorn, emmer, and spelt—less destructive, not non-destructive. My view: Gluten, in all its forms but especially its modern forms, is potentially so destructive to human health that the ideal solution is to say goodbye to it completely. Fat Head: Do you advise your patients to go wheat-free, or wheat-free and sugar-free? I’m asking because if they give up both, some people would say it’s the sugar that was causing the problems, not the grains. Dr. Davis: Yes, sugar is on the no-no list. There is no question that, at least for some people, especially younger people, sugar exposure in soft drinks, junk foods, and snacks is a big problem. However, just eliminate sugar and eat more “healthy whole grains” and most people do not lose weight, but gain weight. This is the struggle of people who believe they are following healthy advice to limit sugary snacks and eat more “healthy whole grains” who then find themselves 30, 40, 50, 100 pounds overweight. Switch the order, i.e., eliminate all wheat, and desire for sweets is nearly always markedly reduced, since the appetite-stimulating gliadin protein of wheat is now gone. It is a far easier task to eliminate wheat first, rather than to eliminate sugars first. And, of course, it’s not just about weight. It’s about all the other effects of wheat that even sugar cannot provoke, such as joint inflammation, acid reflux, irritable bowel syndrome, skin rashes, brain effects, water retention, etc. 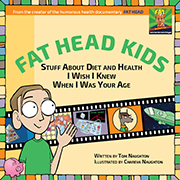 Fat Head: In Dr. Weston A. Price’s book Nutrition and Physical Degeneration, he described how people in traditional societies soaked or fermented their grains before consuming them. Do you believe that makes grains less of a health hazard, or is today’s mutant wheat too full of problematic proteins to be made safer by those methods? Dr. Davis: Soaking and fermenting turn wheat, a bad thing, into a form that contains fewer lectins and less gluten (among some other changes), a less bad thing. But we’ve got to be careful not to fall into the same trap that fooled nutritionists and “official” agencies: Replace a bad thing (white flour) with a less bad thing (whole grains), then consuming plenty of the less bad thing is good for you. That’s the flawed logic that led us to this mess. Soaking, for instance, reduces lectin content by about 35% — better, but not great. You can still be exposed to all the adverse effects of wheat, which include gliadin protein appetite stimulation, high blood sugars from amylopectin A, inflammatory responses from gluten and glutenins, and increased intestinal permeability to foreign proteins by lectins. Likewise, sourdough fermentation that reduces the carbohydrate/sugar content still leaves the other undesirable aspects of wheat intact. Better, sure, but still not great. Even geneticists are trying to re-engineer wheat to make it less harmful. One area of research is to try to remove all the most destructive gluten sequences. As usual, they understand the plant genetics but have no understanding whatsoever of the effect of consumption of this plant on human health. So no matter what a baker or geneticist does to dress this thing up, it remains essentially the same, with all the same appetite-triggering, mind-affecting, inflammatory, autoimmune, and weight-increasing effects. Fat Head: What about other grains, such as kamut, spelt, oats, amaranth, and buckwheat? Are they good for us, or just not as bad? Dr. Davis: Kamut and spelt are evolutionarily older forms of wheat. So they do not share the most destructive changes introduced into the “D” genome of modern wheat . . . but they are still wheat. It means they contain gliadins (though a less potent appetite stimulant compared to its modern counterpart), lectins that increase intestinal permeability, and they increase blood sugar. Oats do indeed have modest immunologic overlap with wheat. But the problem with oats lies in their extravagant capacity to increase blood sugar. A bowl of slow-cooked, organic, stone ground oatmeal—no added sugar—can increase blood sugar in a non-diabetic to 150 mg/dl, 200 mg/dl, sometimes higher. In a pre-diabetic or diabetic, 300 mg/dl is not uncommon. One of the strategies I teach patients is to check blood sugars one hour after a meal to assess the severity of blood sugar rises; this is when I saw, time after time, extravagantly high blood sugars after oats. Amaranth and buckwheat are non-wheat grains that are, in effect, just carbohydrates. They lack the immunologic, neurologic, and appetite-stimulating effects of wheat. Like oats, however, they increase blood sugar, followed by all the adverse effects of this phenomenon (insulin resistance, glycation of the eyes, cartilage, arteries, and LDL particles). So I tell people to consume these grains in small quantities, e.g., no more than ½ cup servings (cooked) in the context of a diet with limited carbs (e.g., 40-50 grams per day for most people). Fat Head: What kind of response have you had on the book, or is it too early to judge? Dr. Davis: The response has been incredible. 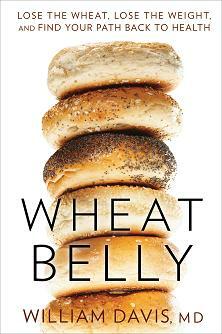 Within the first 9 days after its release, Wheat Belly made The New York times bestseller list. But even more important to me, every day I am hearing about the difference this message is making in people’s lives: rapid weight loss where little or none was experienced before; relief from chronic pain; plummeting blood sugars, etc. What has been especially gratifying is that, thanks to the instant feedback of social media, I am hearing about these stories just days into readers’ experiences. Even in my office practice, I’d generally wait several months to get feedback on patients’ wheat-free results. Now I’m hearing about it literally within days. The outpouring of positive feedback has been absolutely wonderful and has further reinforced my conviction that this is one of the largest health issues of our time. Fat Head: Have you heard from any of the so-called experts who insist that whole grains are part of a healthy diet? I take it you’re not popular with that crowd right about now. Dr. Davis: Nutrition is an important topic. But it is also a surprisingly emotional topic. Dietitians and nutrition “experts” have been so deeply indoctrinated into the “whole grains are good” argument that their knee-jerk reaction is anger, that this is some passing silly fad for rapid weight loss. Anyone who has read the book realizes that is precisely what Wheat Belly is not. It exposes all the things you haven’t been told about this genetically altered grain, engineered to increase yield but also increase appetite. Wheat trade groups, such as the Grain Foods Foundation, have issued press releases declaring their intention to launch a publicity campaign to discredit me and the message I bring with Wheat Belly. In response, I published an Open Letter to the Grain Foods Foundation that I also sent to various media, inviting them to join me in a public debate, TV cameras and all; they’ve not yet taken me up on my invitation—and I suspect they never will. With what I’ve uncovered, I doubt they want to allow a public airing of all these arguments. 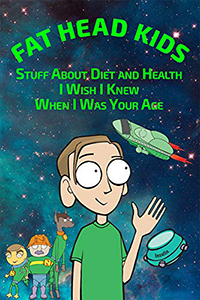 Fat Head: Final question … Now that the book has been released, do you ever lie awake at night, wondering if the good people at Monsanto and Pillsbury are planning your demise? Because if I were you, I’d avoid dark alleys for awhile. Dr. Davis: Thanks for the warning, Tom! This anti-wheat campaign makes enemies out of some very influential forces, including Big Food, multi-billion dollar agribusiness, wheat trade groups and, to my great surprise, the drug industry. I was recently shocked (though I suppose I shouldn’t be, knowing what some people are capable of) to learn that at least one wheat trade group is largely populated by people on the payroll of the drug industry. Now that is really a worrisome thing. Fat Head: Thank you very much for taking the time to answer our questions, Dr. Davis. I hope the book sells a million copies. Gutsy New Ways To Become Healthy? I hada strange dream about the psorisis on my husband’s knee. I dreamt oats, flax and poppy seeds were spewing out of hiis knee. It wouldn’t stop and then it kept moving around like it was alive. I told him maybe he should stop eating that stuff. Ok, so can’t eat wheat, can’t eat oats – what CAN we eat?? That still leaves plenty of choices. Ummm… YES! ARE YOU CRAZY? I don’t think wheat agrees with me, but to dismiss proper scientific backing to his claims like this is ridiculous. There is a reason why most of his colleagues are cautious: because they are good scientists. Nobody is going to run a controlled clinical trial to track the effects of eating wheat or not eating wheat for 20 years. Likewise, nobody has ever enrolled people in clinically controlled trials to compare smoking versus not smoking for 20 years. Dr. Davis doesn’t ignore evidence (he provides plenty of it in the book); he’s pointing out that we don’t need to wait for long-term clinical studies on wheat — which will never be done — to speculate on its effects. My spouse and I are 99 per cent gluten free for one year since reading Wheatbelly book, and we have found we had strong cravings for bread! We don’t miss pizza andpasta too much. My spouse blood glucose fell 30 points. We avoid sugar. I find my memory has improved! I also found I was allergic to SweetnLow as a sulfa drug product and have been using it for years. We use Stevia and have discovered new oriental sweetener to try made from monk fruit. Thanks for Wheatbelly, we are grateful and spreading the word. The reason why people are losing weight following this diet is not due to excluding wheat but down to reduced portion sizes since their meal and snack options have been limited since omitting wheat. Dietitians are not wrong to recommend whole grains as there are several benefits of wholegrains that have not been mentioned here (look at the scientific proof!!). They should be recommended in SMALL portions as an alternative to white bread/pasta etc. Soon we will be told not to eat rice or potatoes and live on a vegetable only diet!!!! No, they lose weight because they’re no longer consuming a mutant wheat product that drives up their blood sugar and triggers appetite. The “benefits” of whole grains are only in comparison to white flour. Just because a product is less harmful, that doesn’t mean it’s good. Wrong. Production of glucose is what stores fat. You are incredibly wrong! I have struggled with severe binge eating disorder for a while, nothing I tried worked. My doctor was willing to give me a naltroxene implant, but before I resorted to that desperate measure which should only be used for drug addicts, I decided to try and go gluten free. The results was IMMEDIATE! No more appetite, no more binging. I eat fewer calories because I can for the first time in a decade actually control portion sizes. I wanted to do this for a trial size of 30 days, but I’m going to do this for life. I don’t feel limited in food choices, I’m eating better than ever before. Before this, my mind was foggy, I struggled with constipation, I was fat, I was always so so hungry and didn’t have an off switch. I couldn’t concentrate at work and wasn’t performing well. I struggled with insomnia, headaches and was tired all the time. Gluten free changed this all. The thought of muffins etc now to me is just vulgar. This book is increddible. I can honestly say, after four weeks of all but eliminating wheat from my diet I am sleeping better, have less inflammatory aches, no acid indigestion/reflux as was a regular occurrence and have dropped 10 pounds in 4 weeks. This is the most significant difference in feeling healthy in 30 years. I have just ordered the cookbook, it’s not about giving anything up, it’s about figuring out what works and applying it. Treat your body like a Ferrari, lousy fuel, lousy performance, wrong fuel and it kills the engine… no different in my mind. My brother, who was hospitalized for high BP took up this habit (eliminating or vastly reducing gluten) from his diet 6 months ago and is now of BP medicine. That is the only change he made and proof enough for me. I’ve given up wheat in the past several months, except for a couple of cheats. The result: flattened belly, no more wheat-puff abdomen, lost 10 pounds. When I cheated? Stomachache. Also, red blotches on my skin are greatly diminished. That’s enough to convince me. Dear Dr. Davis, What can we eat to replace wheat? What about Rice and potatoes? It’s hard eating a meal without carbs and also I would have to eat every two hours to feel satisfied with just vegetables, meat and fish. I’ll answer for Dr. Davis: you don’t need a high-carb diet to feel energetic or satisfied. Fat is a great fuel. I have been suffering greatly from Fibromyalgia for 27 years and last weekend I found a copy of your book at a friends house. I stopped all wheat immediately and am already losing some weight and sleeping better!!! This could be the answer I’ve been searching for all these years!! I’m very excited to see what it will do with my pain. It makes so much sense and I can’t believe someone hasn’t discovered it before. Thank you Dr Davis for giving me hope. Are quinoa and millet also on the list of blood sugar no-no foods (like amaranth, buckwheat, oats)? What about yams, carrots, pumpkins, lentils, and seeds? I am a vegetarian and I have already eliminated almost all wheat species from my diet. I consume no refined sugar, only a bit of fruit and little dry fruit. Stevia is my main sweetener. I eat lots of vegetables, raw butter, ghee, olive oil, toasted seeds and moderate portions of rice-lentil soup. I also like quinoa, amaranth and millet. But I do feel I’d like to eat more grains (than I eat now) because other foods make me feel hungry too soon. What happened to taht theory that fiber rich carb foods get absorbed into the bloodstream more slowly, without high Blood sugar spikes. I assume it was a wrong assumption, if Dr. Davis’findings are correct. Thanks for any feedback you can provide to this post based on your knowledge and experience! Best thing you can do is get a glucose meter and check your own reaction to all those foods. What spikes my glucose may not spike yours. This is amazing – that you haven’t posted a link in a prominent place on this page to PART ONE of this interview!! I’ve looked at the top, bottom, and sides of the article. Really frustrating. Most journalists, most blogs would put a link to an original interview, if this is a part two… especially when many people will land here from a search engine or someone’s link. Really disappointed in the author/website/blog. At least, if you’re going to be that thoughtless, you ought to systematically NAME your pages. You know, if you call this page “interview-with-wheat-belly-author-dr-william-davis-part-two/” then the first one should be called the same thing ending with “…-part-one/” or, assuming you didn’t know there would be a part two when the first one was done, just use the same name without the “-part-two” Neither of those found part on either. I’m done with your site. The information in this article is great, but I’m through wasting my time. Good point; I added a link to part one in the post. Thanks so much for this incredible interview – I am recommending and sharing it widely. I would suggest putting a link to the second part of the interview, as it is so very good, at the end of part one. I looked but could not find a continuation link on part one even though there was mention in the beginning that a part two would be forthcoming. I only found part two as it was referenced directly from Dr. Davis’ own site. Keep up the great work! Check the label. Some rye breads are a mix of rye and wheat. you’ve hit the nail on the head. The issue is something not enough folks are speaking intelligently about. I gave up eating all grain products 6 years ago with all dairy products and only eat fruit in season. I lost 17 kilos down to my body size weight, I am now 72 and I have gained much vitality, I now ride a bike long distances and I attend a gym for the first time. I believe wheat was my greatest enemy. Give it up , you won’t feel better until About 2 weeks, it takes that long to leave your system. Take all grains from your diet. The reason why people are losing weight following this diet is not due to excluding wheat but down to reduced portion sizes since their meal and snack options have been limited since omitting wheat. Uh, no … they replace wheat with real food. They don’t just eat less. And you know this HOW?? You’ve been in millions of peoples’ homes, sitting next to them, watching their portion sizes??? No??? Then don’t comment if you don’t know. FYI, since going low-carb I now eat TWICE as much fat and calories as I used to — including cheese, tuna salad, eggs, whipped cream and berries — and I’m skinnier and healthier than ever. My blood tests are PERFECT and my doctor is both pleased and AMAZED. Wheat, grains, sugar, even high-carb fruits — eliminate or cut way back on these, and you will see great results within two weeks. I wish my diabetic, obese friends and family would give this a try. It’s so sad to see them eating their “diet” meals of whole wheat breads and cereals, while they just get fatter and sicker. Any feedback on how to address the impact of gall bladder removal? Since I had my gall bladder taken out (HUGE mistake, by the way), the weight has packed on. I’m curious if following the wheat belly plan will still help. I believe it could only help. I’m a bit skeptical. Having trouble reconciling Dr Walter Kempners Rice Diet and his stunning BP and lipid results with all this low carb talk. What does Dr Davis have to say about Rice Diet success stories? Haven’t asked him, but keep in mind his focus is on the problems with wheat, not rice. I lost almost 60 pounds with just the basics of this diet. I am 63 and need no pills to control blood pressure or cholesterol. My joints don’t ache anymore and I don’t get congested lungs anymore either. Good memory and plenty of energy when I need it. I tell everyone about this but many are sceptical. It’s a shame that Government Experts are still pushing the Healthy Whole Grain lie. Lobbyist may be behind that aspect as,well. Money behind Washington as usual. Be a revolutionary in the diet world. Get Wheat Belly Total health. The later book. Read it…Know it….Live it. You will be a firm believer . Hey Professor; amaranth and buckwheat ARENT grains; they are in completely differernt plant families.